Discover naturally beautiful skin with our Limited Editions & starter sets. Refresh, hydrate and restore your skin with our botanical facial mists and essences. Indulge your senses and soothe your skin with our luxuriously aromatic products. Protect your skin from the first signs of ageing with our potent botanicals & antioxidants. Target lines and wrinkles, loss of firmness and elasticity and improve skin tone with plant and marine extracts. Clean and clarify your complexion with Jurlique's Cleansing range. Replenish moisture levels, minimise dehydration & restore smoothness. Calm, comfort and restore your delicate skin with our skin soothing remedies. Enhance the effectiveness of your daily ritual with regular use of these radiance-boosters. 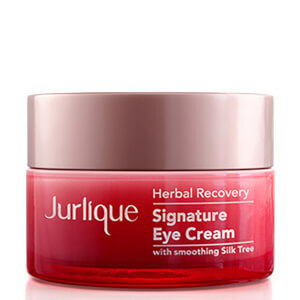 Jurlique has evolved what’s possible from natural skincare. For over 30 years, our concentrated botanicals and pioneering formulas have defied expectations. 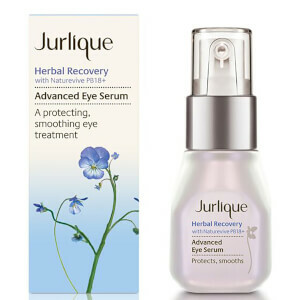 Jurlique women have a natural vitality that comes from having radiant skin that glows. Superior visible results, effective beyond belief. Harnessed in its purest form, there’s no greater force than Nature to achieving radiant glowing skin.Our unique process unlocks the most powerful qualities of Nature to grow, harvest and extract the most concentrated botanicals.Each uniquely designed to enhance skin’s natural radiant glow, under any condition, for any age or environment. One of our original products and still a favourite to this day, Rosewater Balancing Mist refreshes and hydrates the complexion as it uplifts the senses. Grown and harvested on our farm in the Adelaide Hills, the Roses in our Rose Hand Cream are rich in botanical antioxidants to protect and nourish the delicate skin on the backs of hands and around nails. Used prior to serums and moisturisers, Activating Water Essence enhances their performance, with hydrating Marshmallow Root extract to lock in moisture and soften the skin. Nutri-Define Superior Retexturising Facial Serum harnesses five natural active ingredients, including Horseradish extract to help skin feel firmer and Mulberry Root extract to brighten, leaving skin feeling refreshed and re-energised. The powerful botanicals in Purely Age-Defying Firming and Tightening Serum help skin feel firmer providing a smoother looking complexion. Lightweight but hydrating, Rose Moisture Plus Moisturising Lotion contains our precious Rose oils, alongside Green Tea Extract, that protects skin from environmental aggressors.